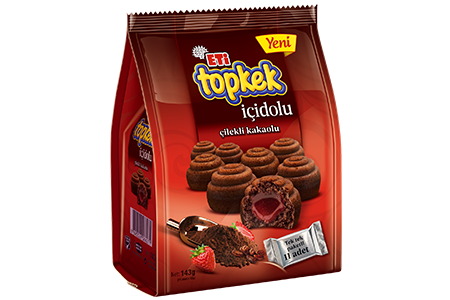 Topkek İçidolu is the newest innovation from Eti! The soft cocoa cake meets the delicious strawberry filling inside. It’s the perfect size for sharing with 11 individually-wrapped mini cakes in a bag!